Until recently, most people didn’t think much about our trees. They were simply part of the landscape to be trimmed or cut down. Most trees were planted by NGOs and homeowners. Managing our trees starts with an understanding of what we have: What species? Where? What size? What condition? Some large municipalities can hire consultants and foresters to answer these types of questions. 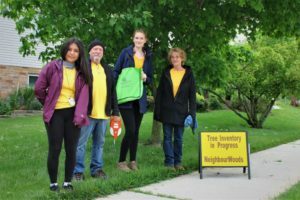 In our community, Neighbourwoods is doing the job. 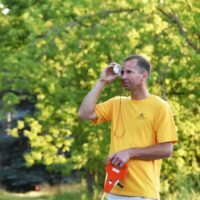 In 2009, after day-long training by the forester team of Andy Kenney and Danijela Puric-Mladenovic , our band of 15 volunteers set out to record 31 variables about every tree in 6 blocks in Elora and 2 in Fergus. Eight years, and 11,000 trees later, we are still at it. We’ve learned a lot. 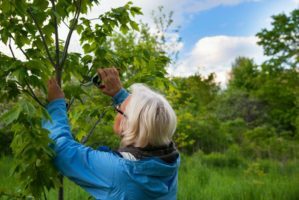 For one thing, we no longer venture into backyards, partly because trees on private property are generally healthy and don’t need us to defend them. By sticking to front-yard and boulevard trees, we’ve been able to reach more householders and collect more data about public trees. 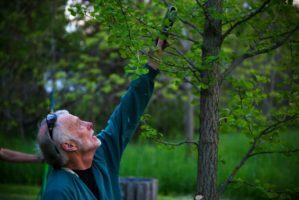 It helps determine what to plant in order to increase the diversity of our urban forest to ensure we still have trees when the next blight comes to town (think Dutch Elm Disease, and now the Emerald Ash Borer killing our Ash trees). Right now the bulk of our urban forest is made up of cedars, maples and spruce trees. 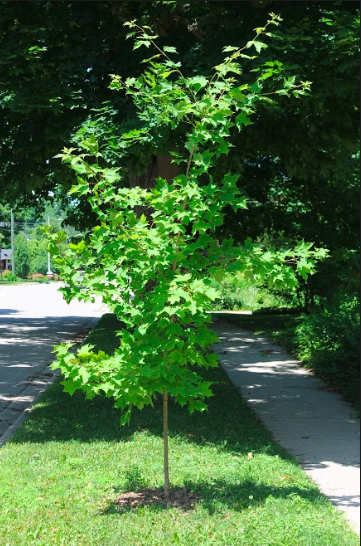 It establishes where there are trees that might be hazardous to the public, so we can inform the Township. Determines the value of our urban forest, which underscores why it merits attention and Township’s resources. The replacement value of our trees is pegged at more than $12 million dollars and counting. 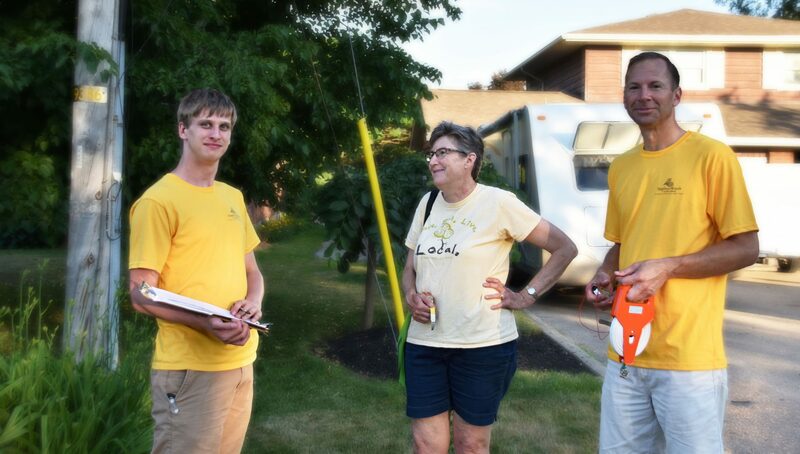 Data aside, the inventory is an excellent outreach tool because every home visited receives a flyer in advance and a thank-you bookmark as we leave, encouraging residents to continue caring for their trees. In 2016 we began revisiting properties to reassess the trees and record any changes that have taken place since 2009. We want to see how many trees have we lost and whether they have they been replaced. As well, are the existing trees healthier or in worse shape? Dr. Puric-Mladenovic from the University of Toronto is producing a report summarizing the changes. 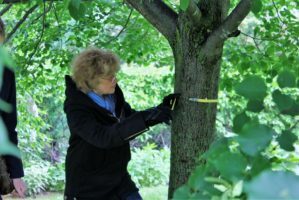 Our tree inventory program would not be possible without our dedicated volunteers who contribute about two hours per week for eight weeks every June and July. They measure, assess, and record data about thousands of trees in Centre Wellington. They are led by our two enthusiastic, cheerful summer students, thanks to the Canada Summer Works funding from the Government of Canada. The Township of CW contributes funding to cover the cost of data analysis. This is truly a community effort! 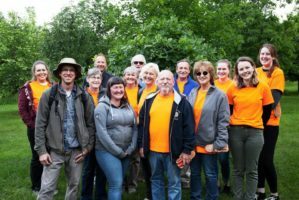 This year our Summer students are Jaimie McDonald and Brenda Martinez who are leading our volunteers: Greg Boland, Ruth Robinson, Larry Deans, Mark Kozalowski, Jim Bailey, Dave Tinker, Tom Hinks, Deb Jakab, Bob Mino and Carole Pines. 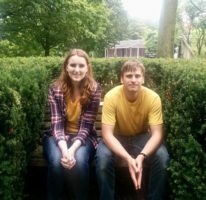 Our volunteers and summer students have been hard at work cataloguing trees in Centre Wellington since 2009. We collect 31 elements about each tree which are analyzed to create an overall picture of each tree. It also allows us to determine the number of trees of a particular species and find trees under various health categories. On this map, you will be able to find out more about your tree if your home is in a neighbourhood that has been covered to date. While we strive to ensure the data is current. If you see any errors, please let us know. For example, some of the Ash trees that were inventoried in 2009 and 2010 have likely been removed or are certainly in declining health.